Do your beliefs limit what you feel you can achieve in life? You may not think so, but what stops you from changing careers? What is preventing you from dealing with the financial issues you always seem to be experiencing? Why do you feel anxious when attempting social gatherings, even though you know everyone there? Without realising it, we do send subliminal messages to ourselves that reinforce negative messages we give ourselves. There are times when what other people say to us also reinforce these messages, so when someone tells you that you need more experience in your current role before looking to the next level, we curl back in our shell. Entrepreneurs use it to create successful businesses. Other people use it to change their unhealthy eating habits and others use it to become a more positive person. But there are ways in which these negative self-talk messages can be altered. And one way is to study neuro-linguistic programming courses. 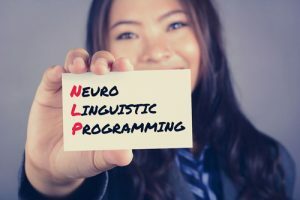 But what is neuro-linguistic programming or NLP, and how will it change your life for the better? Your brain is a complex organ. Although we understand some of how it and the mind works, there is a lot that remains undiscovered. Some therapists describe the brain as a muscle. Just like a bicep, training it to cope with increasing weight and use, will make it strong. Thus, when you really need the strength and elasticity of the bicep, it will be ready and capable to spring into action. The brain and the mind are similar. 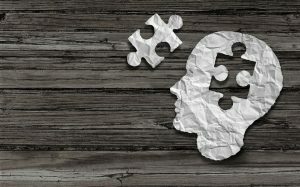 If you look after both – drink plenty of water, practice relaxation techniques, stay alert and carry on learning, solve puzzles and so on – when you need your brain and mind most, it too will be capable of springing into action. Physical barriers – from lack of motivation to lack of time, there are many things that get in the way of taking regular physical exercise. Emotional barriers – from our own negative feelings to those projected on us by others, there are many emotional barriers that lead to us self-limiting in life. NLP is just one of many therapies or programmes that look at how an individual – YOU! – can make changes within the mind that stop you from achieving the success you desire. It is a popular programme as it can be applied to every facet of life. Thus, entrepreneurs use it to create successful businesses. Other people use it to change their unhealthy eating habits and others use it to become a more positive person. Its use and application are almost limitless. And this is because it depends on recognising what the barriers are and taking positive steps to remove them. Neuro linguistic programming courses will help you identify what the barriers are and then help you to remove these barriers. This doesn’t mean that there are set answers to dealing with barriers. The changes need to come from within and from you. There are no right and wrong answers, which is why this programme is such a popular one. It is truly individual, taking into account your own unique circumstances. Neuro-linguistic programming courses allow a person to programme their behaviour by changing the language that they use within them. Your outward behaviour is a manifestation of the ‘mental programme’ or system that runs through your brain. When you change this ‘mental programme’, you change your outward behaviour. For example, you have always wanted to run, but you have memories from lessons at school of cold mornings spent ‘running’ cross country, the embarrassment of being last, the cruel comments of your peers and, in many cases, teachers too. These memories and the feelings they create within you, stop you from running. But change the mindset and you change your behaviour. That was then; you are in a new place now. There is no audience, no cruel taunts, just you, the open road and one foot in front of the other. It is not a race but a form of exercise that you enjoy. It is not about miles or personal bests but an opportunity to enjoy being in the fresh air. With oozing confidence, you take to the road leaving behind detractors from your past. In other words, your focus is on you, running and enjoyment. Our mental programming has been in situ for a long time and is the default position. Making changes takes time, patience and practice. But it can be done!